The Windows Phone powered Nokia Lumia 800 has been making some good impressions lately. During the first quarter of the year, the handset was one of the most talked about in a positive fashion both on social networks and on Twitter. As we told you Sunday, 79% of tweets about the Nokia Lumia 800 during the first quarter were positive. That kind of word of mouth talk is better than advertising. 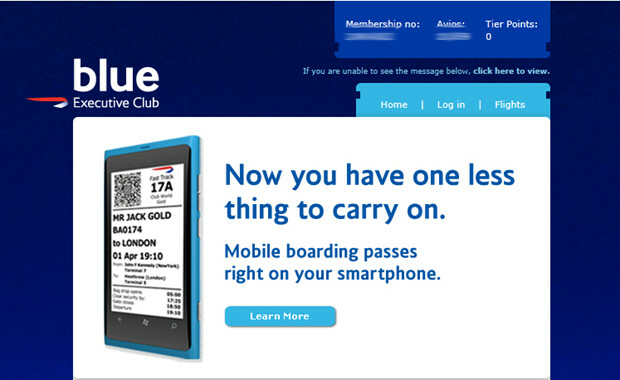 Some one at British Airways must also have been impressed by the Nokia Lumia 800. On a campaign that the airline started to show how smartphones could be used in lieu of paper boarding passes, the smartphone used on the display is the Nokia Lumia 800. This kind of free advertising is something we have seen Apple been able to take advantage of in years past. Seeing this has to make Nokia and Microsoft feel that they are slowly picking up traction. British Airways app allows for mobile-check in, flight information, and the ability to purchase tickets and make upgrades using your smartphone. The app is available for free from the Apple App Store, Google Play Store, BlackBerry App World and Windows Phone Market. And while the airline could have picked an Apple iPhone, the BlackBerry Bold 9900/9930 or the Samsung Galaxy S II as its "spokesphone", it selected the Nokia Lumia 800. This could be the sign that something is about to take off besides an airplane. UK networks have windows phone priced extremely low on contracts in order to try stimulate windows sales so it probably handy for a company like BA to be as cost effective as possible and choose a handset which costs the least cash outflow. That saying Nokia are generally in trouble worldwide with smartphones sales and many many campaigns have been launched in order to try get a boost with their sales so Ba might well have got these handsets free. BA might have gotten this handset free from Nokia in a sponsorship campaign? Yes, this might be the case. BA might have used his phone because it is "cost effective?" Probably not. In the scheme of a marketing campaign, spending a couple hundred extra bucks on a phone is not going to break the bank. Or, you know, they could have just chosen the phone because they liked how it looks, and wanted to associate their brand with the look of this device rather than another one. Branding is important for marketers, after all. maybe they felt the need of something different. it means it is really a new platform to watch out for. "This could be the sign that something is about to take off besides an airplane"... Touche. Nice touch. 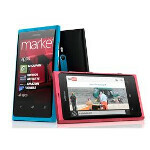 I think they choice Nokia is because of the color and design.